Here's an administrative assistant resume sample that is written using the combination format. It illustrates how to set up your resume if you've worked at several companies through a temporary staffing agency. If you have been at a lot of companies doing temp work, it is important to structure your resume carefully so it doesn't appear that you have been job jumping. Employers are usually concerned when they see too many jobs in a short period of time on a resume because they worry you have either quit or been fired many times, and that raises concerns in their minds about your work ethic or your ability to do the job well. If you need to know how to handle specific challenges in your work history when writing your resume, my resume writing book can help. It's not just a generic book written for people with ideal career histories. 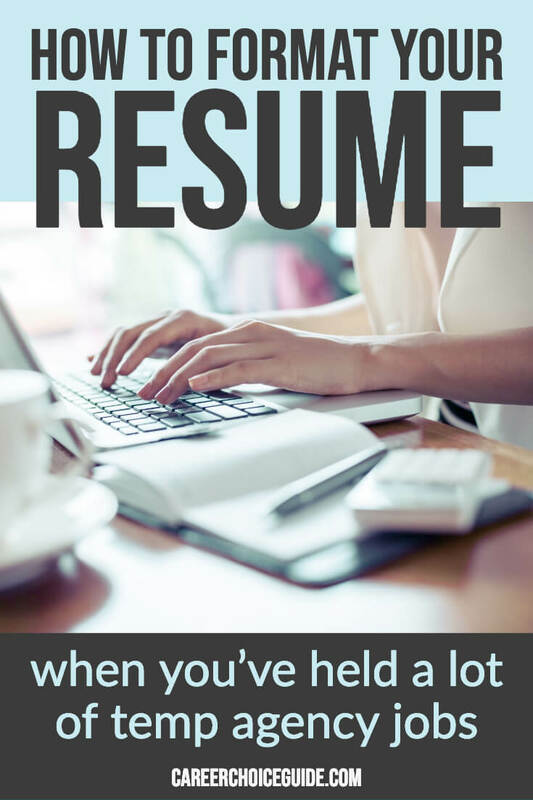 It shows you how to deal with gaps in employment, career changes, incomplete education, and plenty of other challenges, so you can write a resume that makes a great impression on employers.